Lock in a great price for Guest House PachaMama Pleasant Stay – rated 8.9 by recent guests! I did my meals. All equipment and utensils were provided. They were clean and ready for use. Piran is beautiful. The accommodation is in the very center of the city and the surroundings are peaceful. All in all a great recommendation. 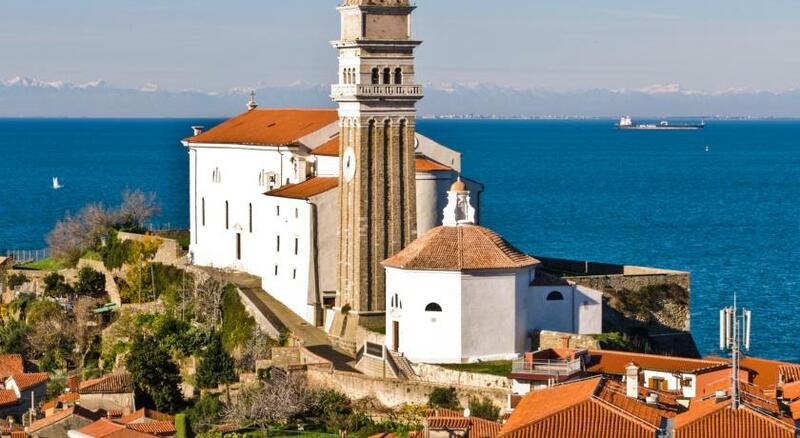 Amazing location, right in the heart of beautiful Piran. What I loved most about this hotel is that it is basic/budget-friendly, modern, clean and eco-conscious (with a shared kitchen to satisfy all needs for coffee, cooking, cleaning, refrigeration, etc.). Another cute aspect of this hotel is the fact that it's right below the main church, which rings its bell every 15 minutes! Facilities were great and staff were lovely and so helpful. It is a wee bit difficult to find, but loved it once I found it. The rooms are perfect for a solo travel, not too much or too little. Staff was helpful and courteous but sometimes a little difficult to track down. Still they accommodated my late arrival (border troubles) and were very communicative. Loved it and would stay again. The location is excellent. The room has everything one would expect in a hotel. There is a coffee maker in the lobby. The receptionist was very friendly and competent. Good sized room, comfortable and convenient bathroom. Healthy breakfast. Located just off the main plaza in Piran, the guest house was a great place to stay. Comfortable room, superb breakfast. Not a typical hotel but we loved it. The location, staff and breakfasts were wonderful!! Cool, modern and earthy upscale hostel just a short walk from Piran’s main square. It has a natural yet modern feeling to the facility. The lobby and rooms have wonderful photographs taken by the owner and manager throughout their international journies. The rooms are small but efficient. There are wood accents with wood trim, solid wood doors and exposed stone walls in the room. There was one window that could open for ventilation and provided good natural lighting but it overlooked the breakfast terrace so it could be a bit noisy. The bathroom was spacious and was very modern with dark gray tiles and a wood shelf for toiletries. Shower gel and shampoo were provided. The artificial lighting in the bathroom was good and the water pressure was good. The WiFi signal was strong an consistent. Luca made a wonderful breakfast which is served on the outdoor terrace. The meal is organic and quite different than other places. Very lovely. Luca was super friendly and helpful. Guest House PachaMama Pleasant Stay This rating is a reflection of how the property compares to the industry standard when it comes to price, facilities and services available. It's based on a self-evaluation by the property. Use this rating to help choose your stay! Set in the heart of Old Town in Piran, Guest House PachaMama Pleasant Stay offers modern-style accommodations fitted with air conditioning and free Wi-Fi. It features inner courtyard with seating area and a shared lounge room. Piran's main square is just steps away. Decorated in bright coloures with stone wall elements, all rooms provide a private bathroom featuring a shower, a hairdryer and free toiletries. A healthy nutritional breakfast is served at PachaMama. A variety of dining options and bars can be found all around the property. The nearest beach is 500 feet away. Guests can visit the ancient salt pans with a spa area, located 5 mi away, or Strunjan Nature Park, which is 6.2 mi away. Portorož Airport is about 4.3 mi away, while Trieste Airport is at a distance of 25 mi. 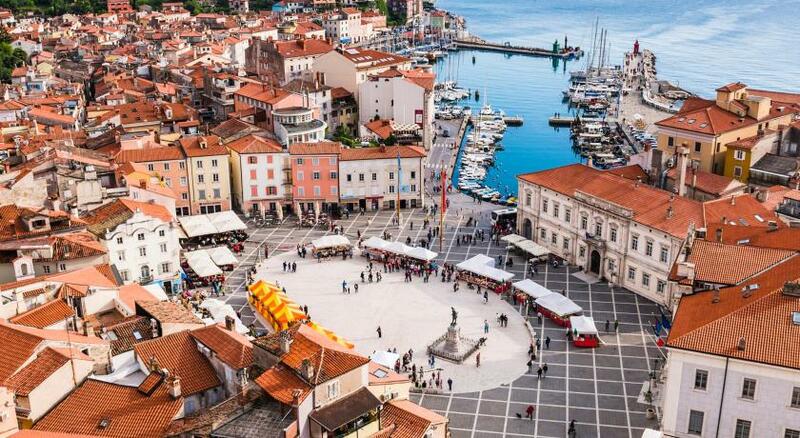 뀐 Located in the top-rated area in Piran, this property has an excellent location score of 9.6! When would you like to stay at Guest House PachaMama Pleasant Stay? This triple room has air conditioning, sofa and tile/marble floor. Behind - PachaMama – The word for mother earth in Quechua language, lies our philosophy of taking care of our Mother Earth, do minimum damage and try to preserve it as much as possible. In PachaMama Pleasant Stay you will experience a part of it! Through this concept we provide a healthy DAY STARTER, the most important meal of the day. It is thoughtfully planned to incorporate the basic nutrition needs into our body. Perfectly balanced combination of foods, full of vitamins, minerals, protein, antioxidants, fibers and healthy Omega 3 fats to provide a great energy support for the day. Since Piran was not build for cars, but mostly for ship arrivals, only the inhabitans of Piran are allowed to park their vehicles inside the town center. Fornače is the name of the nearest parking garage. It is a multi-level garage house for visitors of Piran. Price for a daily paking pass is 17 EUR and 60 EUR for a whole week. House Rules Guest House PachaMama Pleasant Stay takes special requests – add in the next step! Guest House PachaMama Pleasant Stay accepts these cards and reserves the right to temporarily hold an amount prior to arrival. Tiny rooms, no view, service every second day. The pillows were a little thin and needed boosting for me. Cooble stones lead to the front door and with a roller suitcase it can be a liitle rowsy and more force required to get to your destination. This place was new and provided many nice features. It was very central in a quiet location in the Old Town of Piran. There were many eating places within walking distance and also the attractions were also close by. Staff were friendly and helpful. Great accommodation option. The location is good. Very friendly staff. Cleanliness of the room, comfortable bed. There is also a terrace, in warm weather you can drink coffee in the fresh air. Excellent place. If you're coming to Piran then stay here. The location is perfect literally round the corner from the main square and seconds away from cafes and restaurants. The staff are friendly and helpful, security is great. Wife is strong and I was on the third floor. Kitchen facilities, private roof terrace. Spotless and clean. Very stylish. Everything was perfect for my 4 night stay. Thank you! Very pleasant and clean room with everything you need. The staff is very nice and helpful. The street and the house outside is full of pigeons, and their "traces". You should do something against them, its not just disgusting but not hygienic either. The location was perfect and the staff was very friendly and helpful. The room was very small, I banged my leg on the corner of the bed twice trying to get round it. I was on my own but I think two people would have struggled. There was a smell from the bathroom. Neither of these things were major issues though and I still enjoyed my stay. The guest house is in an old building but the room is modern with air con/heating system, fairly new bathroom etc. The front desk staff were friendly and helpful. The location is perfect, just off Tartini square which is a great place to enjoy a coffee and watch the world go by. The price was very reasonable and I was happy with my choice to stay here. Parking is not easy .The garage is 1.1km away the guest house. We have to drop off our luggage first , then drove to the garage and toke free bus back. Central location, friendly staff and discount on parking if you need. Perfect little old town next to the adriatic sea.